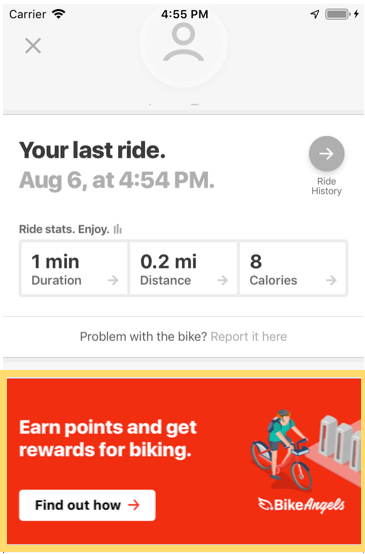 If you're a monthly or annual Capital Bikeshare member, head to the menu on the Capital Bikeshare app to learn more about Bike Angels and opt-in to start earning points for your trips! Don't use the app? You can also head to the Capital Bikeshare website and become a Bike Angel from your profile there.